My allergies seem to be under control with regular use of Allergena. Allergena Zone by Progena is the best it really dose work fantastic! My allergies have been terrible since moving to Florida and a friend recommended Allergena Zone 2 by Progena. It really works!! If you’re looking for a homeopathic supplement that might work to alleviate certain allergy-related symptoms‚ you might want to try Progena’s Allergena Zone-2. 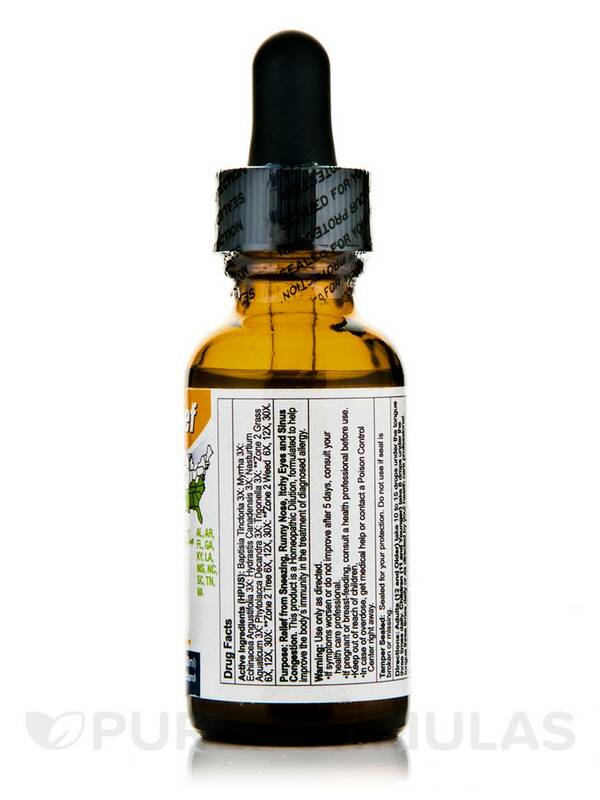 Specifically‚ this product has been formulated to provide natural allergy relief for people who live in the southeastern United States. Proponents of homeopathy believe that highly diluted amounts of natural substances may work to stimulate your body’s ability to heal itself. 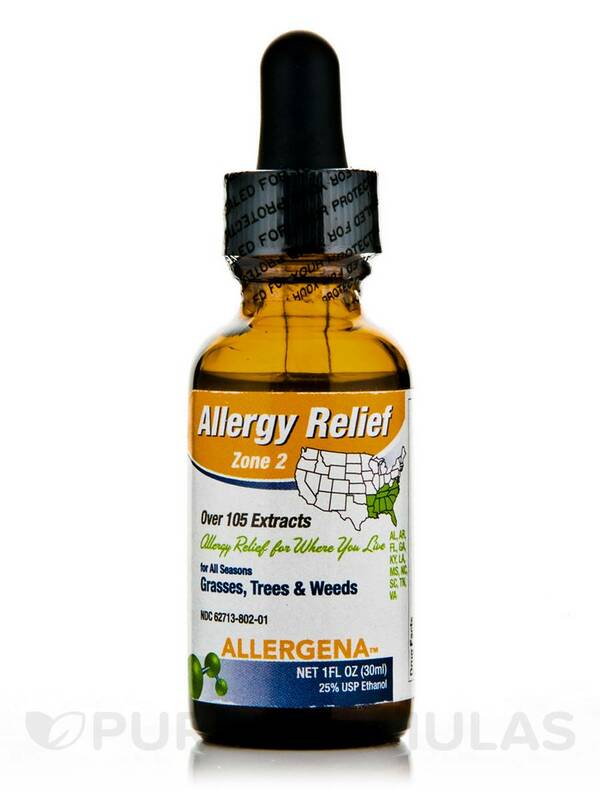 For this reason‚ Allergena Zone-2 contains a wide array of weeds‚ grasses‚ and trees common to the aforementioned region‚ such as pecan trees‚ goldenrod‚ and Kentucky bluegrass. As a result‚ this Progena supplement may help address certain symptoms associated with hay fever (allergic rhinitis)‚ including itchy eyes‚ sneezing‚ or a runny nose. Allergena Zone-2 also provides herbs like echinacea‚ baptisia tinctoria‚ and hydrastis canadensis that might work to promote lymph drainage‚ which is important because your lymphatic system plays a key role in maintaining optimal immune function. 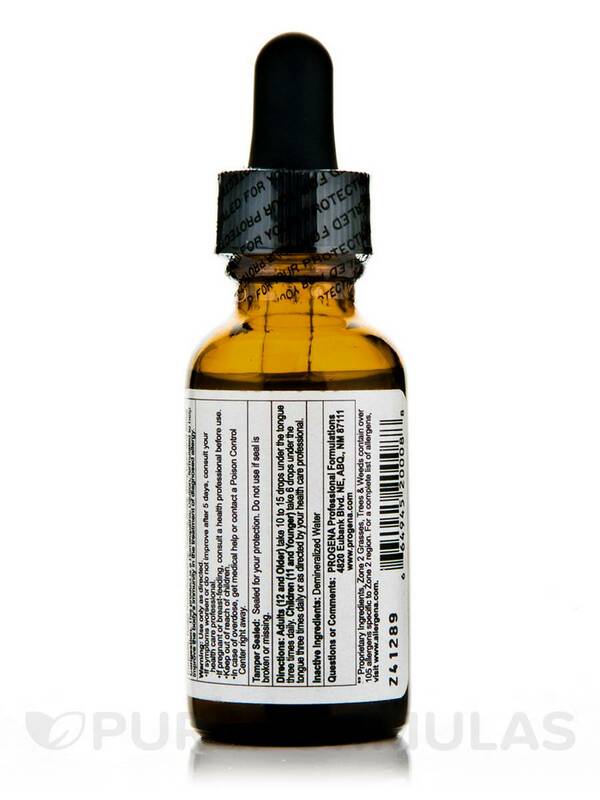 Each bottle of Allergena Zone-2 by Progena contains one fluid ounce of solution. Zone2 Tree 6X‚ 12X‚ 30X: Zone2 Weed 6X‚ 12X‚ 30X. Allergena Zone-2 by Progena works when nothing else has. I use it everyday for allergy symptoms. I like the fact that this product covers me in an entire region and not just where I live. This was recommended to me by a friend in a different zone, so I tried it for my zone and it works well. I still have a little sneezing when I first wake up, before my morning dose, but no more stuffed up head and headache. Easy to use -- MUCH easier than pills. It has a bit of a sharp taste, but you get used to that quickly. Allergena Zone-2 by Progena has given me quick relief for allergies. I have tired zone 2, 3 and 6 and have had success. I am going to start using Allergena Zone-2 about 5 days before we leave for Florida to see if it makes a difference to start early. I like the fact that it is a safe, simple and natural way to get relief from allergies most of the time and the fact that there are different types for each of the different climate zones in the U.S. The only thing that I don't like is the fact that there are no zones for places around the world. Allegena Zone 2 works great! In the past, I have had to take 2 different allergy medicines everyday. Allergena works great and I no longer take 2 allergy medicines I just take these drops 1 to 2 times a day. This doesn't make me drowsy as the tablets would. I think it is great! Quick and easy, fast acting, and very inexpensive. Our whole family uses Allergena Zone-2. We make sure its always in the house. And you wont get a better price than what you get from Pure Formula. Remembering to take 3 times a day. Great Product for Allergy Relief! Allergena Zone-2 by Progena is great for controlling and eliminating allergy symptoms. By controlling my allergies I have controlled my asthma without prescription drugs. I know can live with these types of products and have removed the other meds I was on.